You first encounter AZ when you have defeated Team Flare in the Kalos Power Plant. 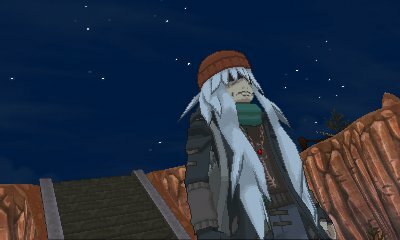 As you reach the end of the route, you will see AZ mysteriously standing ther. He will mention about a Flower Pokémon which was given eternal life, and then he walks off. On talking to people around, you hear rumours of him having walked around for 3,000 years. You next encounter AZ when you reach Lysandre Labs. 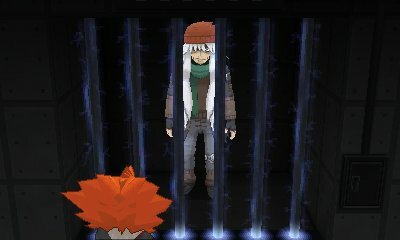 When you go to the second basement, you find that Lysandre has locked him up, thinking he is the king from 3,000 years ago whose Pokémon friend, a Florette, was killed in a war where many Pokémon lost their lives. Heartbroken, he created a machine to try and give it life again, but his rage at the loss didn't subside so he used the machine into a weapon. His Floette left him for what he did to the world. 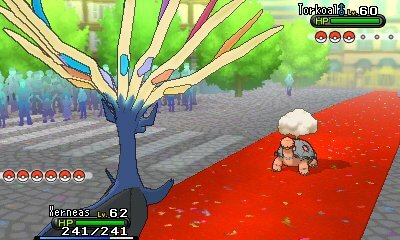 The machine is the one Lysandre is trying to utilise in order to keep Kalos beautiful forever. AZ emplores you to not let the machine be used once again. After you have become the Champion, Professor Sycamore will throw a parade for you for not only becoming champion, but for protecting the world. At this celebration, AZ will challenge you, wanting to know what a Trainer really is. Once you have defeated him, he will thank you for helping him come to terms with what he did, and freeing him from the mire of his sorrow and the part that built the weapon. As he comes to terms with it, his Floette friend suddenly arrives from out of the sky. 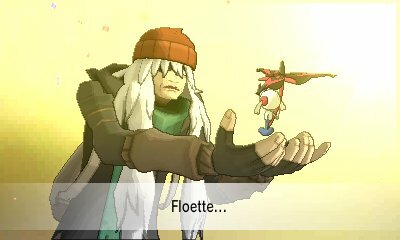 Professor Sycamore appears and supposes that Florette was just waiting for AZ to become the man he was before the war.